For a free quote or more details call 020 3404 5414 and our knowledgeable office support staff will gladly help you to determine the clearance service most appropriate to your needs. 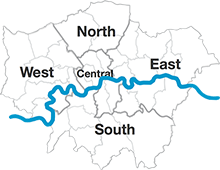 The Junk Removal Monster is here to provide you with a complete house clearance for your home, anywhere in London. It may be that you have some old furniture or electric appliances to clean your house from or any other unwanted item - it doesn’t really matter because the Junk Removal Monster is never on a diet and his appetite grows when consuming household waste. The Junk Removal Monster is perfectly fine with clearing your property - be it a garage, basement, attic, loft, flat or whatever. Swipe the floor after the waste has been cleared. The Junk Removal Monster never sleeps, thus neither do the friendly customer care operators who are ready to help you assess the type, volume and other specifics of the junk you need taking care of. The price estimate is free of charge. Our friendly consultants will offer you the best time slot having in mind your needs. Rest assured that the House Clearance Team will be available as we offer removal services during bank holidays and weekends as well as after working hours. We know our customers have busy lifestyles so we give our best to be available when they need us. The House Clearance provided by the Junk Removal Monster is a flexible service, after all, he is not one to be straitlaced. This means you can design the house clearance any way you desire it - the team could place the household junk in rubbish bags (if needed) or just collect the already bagged junk. Moreover, there is no need for you to be present at the house clearance - the team can come pick up the keys at a convenient to you time and after the service is done return them. 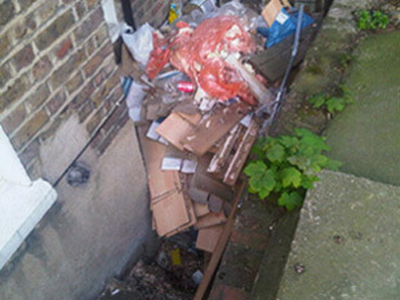 The House Clearance, as mentioned above, can be performed anytime. And last, but not least NO deposit is eligible for the house clearance service - you will choose the payment method and proceed after all is done. Although the House Clearance may consist of removing all kinds of junk you will be charged on weight or size estimate. That way you will never pay more than you should. Actually, trust is something the Junk Removal Monster is most sensitive about and if anything you will end up paying less than the real house clearance value. Having all those perks in mind no wonder the Junk Removal Monster has so many friends - take a look at the testimonials they have left. After experiencing the ease of using Junk Removal Monster’s house clearance you will probably think about making it a regular junk collection appointment. If you are a business, take advantage of the favourite Junk Removal Monster’s meal - the commercial waste collection. In the spirit of trust and openness, the Junk Removal Monster provides you with visual samples. 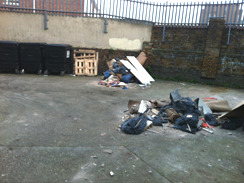 *- pictures taken by our customers, helping us to evaluate what the total cost for the junk removal is likely to be. The service was very efficient and the updates were fantastic. Phone around other companies but none had the availability of you and I needed the items removed ASAP. Your prices were reasonable compared to the other companies and your customer service was also excellent. Copyright © 2014 - 2019 By Junk Removal Company.